Netflix (NASDAQ: NFLX) hit an all-time high of $130.93 on December 4th, 2015. Since then, the price has gone downhill, losing over 30% of its value. Does this mean that, because of this pullback, there is an opportunity to make a substantial investment? 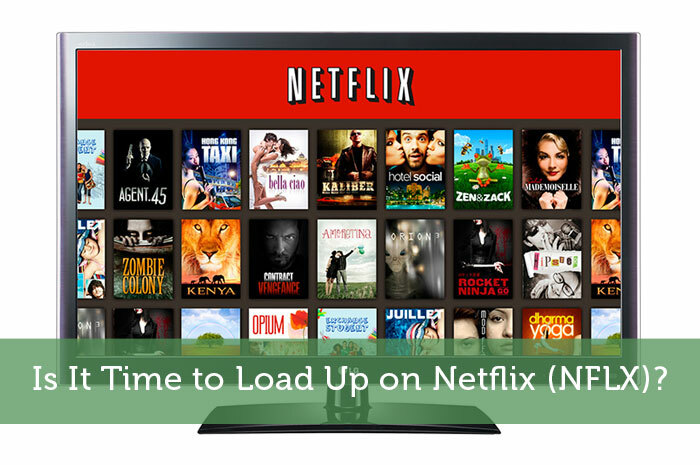 I wrote a short post about Netflix in October 2014 when it was experiencing trouble. I said that the long-term prospects looked promising, and since then the stock has surged (you could’ve made over 150%), then tumbled (you would’ve still made around 60%). Is Netflix still promising? Netflix has two major problems: market saturation and competition. Netflix has virtually saturated the United States. There are currently around 45 million Netflix subscribers in the United States, meaning that 14% of the entire U.S. population (45 million/319 million) is streaming the service. Netflix has also saturated most devices upon which it could offer its service. Nintendo Wiis, PS3s, iPads and iPhones can all stream Netflix. Is there more room to grow? One could make the argument that there’s tremendous potential for international growth, which is true, but thinning margins put them in a pinch. Because the company is experiencing soaring content costs, it may be forced to raise prices. Netflix is currently charging $7.99 per month; they could always bring up their prices, but this would probably backfire in parts of the world with much lower cable prices. Also, a higher price point would abandon a segment of the U.S. market. While those bullish on Netflix stick to their guns on international growth, this assumes that Netflix’s original content will grow with it. Matching the language and culture of every individual market will be another hurdle for them to overcome, and it may prove to be a very expensive process. There is also the cost of becoming compliant with a tangled web of respective laws and regulations, which creates another hurdle. Competition is heating up, with Amazon, HBO, Sling TV, Go90, and even WWE Network (for wrestling fans) getting into the mix. All of these content providers have legitimate services that are capturing market share in the U.S. and around the world. YouTube is still the massive elephant in the room as well. With all the competition, Netflix’s leadership position in the United States is eroding. If Netflix pursues aggressive international expansion, they will also face existing competitors in each market. It seems as if Netflix is stuck between a rock and a hard place. The broad market has been sinking in 2016, so some of Netflix’s decline is likely due to standard market turbulence rather than fundamental problems with the company. It still experiences year-over-year revenue growth of over 20%, but that’s been going down too. Over the past ten years, revenue growth has been around 26% per year. In the last five years, revenue growth has been an average of just over 20% per year. Even if revenue growth stays constant, there’s still the possibility for downward pressure on the stock – a sinking tide lowers all ships. Another nail in the coffin for Netflix is the fact that billionaire entrepreneur and investor Mark Cuban, who disclosed a large stake in Netflix in 2014, recently bought puts on his position. The puts may be to hedge his bet, as he bought more stock in October, but it’s still not a good sign. The company, which has historically had more cash than debt, now has more debt than cash. The P/E ratio is sky-high at over 300, and it doesn’t pay a dividend. Growth stocks typically don’t pay dividends, but how much more can Netflix grow? Given the current scenario, it doesn’t seem to be much. In November 2015, there were 13 insider sales. Now, company insiders can sell for a few reasons, such as needing the cash for a new house, college tuition, etc. so take this with a grain of salt. But 13 insider sells just as the stock was peaking? Seems suspicious to me. The CEO, Director, and Chief Communications Officer have all been unloading their shares, and consistently at that. It doesn’t seem that Netflix is a good buy at this time. In my humble opinion, I would sit this one out. Disclosure: This author has no positions in any stock mentioned and does not plan to open any positions in any stocks mentioned for at least 72 hours after publication of this article.